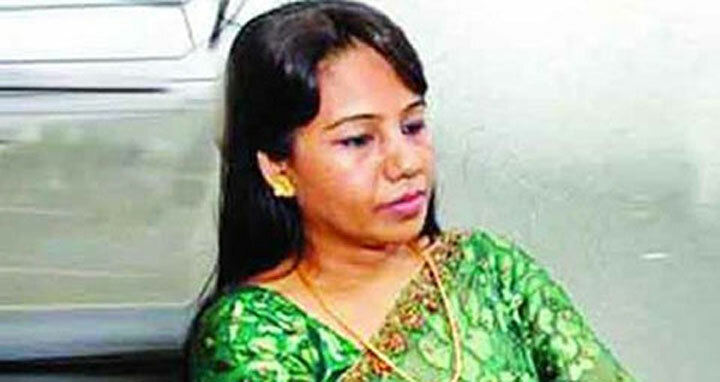 Dhaka, 11 July, Abnews: A court here on Wednesday sentenced Hallmark group chairman Jasmine Islam to three years imprisonment in a case filed for not submitting her wealth statement to the Anti-Corruption Commission. Judge of Dhaka Special Judges Court-5 Md Akhtaruzzaman pronounced the verdict and asked Jasmine Islam to pay Tk 20 lakh in fine within 60 days. Jasmine was present on the dock when the verdict was delivered. Earlier on November 13 in 2013, the ACC issued a notice to Jasmine Islam asking her to submit wealth statement. Later, the ACC filed the case against her with Ramna Police Station on December 12, 2013 as she did not submit the wealth statement. On October 22 of 2014, the ACC pressed charges against her.